Bright Removalists are ranked among the top removalists in Adelaide. We have a team of highly skilled and trained professionals who would take care of everything from packing your stuff to delivering and unloading it. Bright Removalists are ranked among the top removalists in Adelaide. We have a team of highly skilled and trained professionals who would take care of everything from packing your stuff to delivering and unloading it. Our team can help you move interstate, furniture, and other stuff, and items like piano and pool table from one place to another. We provide quick and effective solutions to your query as we value your time. Our motto is to make our customers happy. We use eco friendly cartons to pack your stuff. We are available 24*7 so give us a call to experience the best moving experience. What makes Bright Adelaide Removalists special is that we have solutions to all kinds of removal needs. 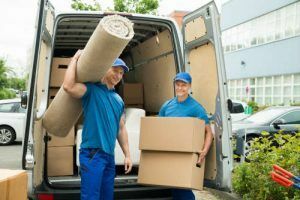 Our Adelaide removalists team can help you move interstate, relocate your office servers, furniture, and other stuff, and move heavy items like piano and pool table from one place to another.